Find out why biometric locks are increasing their popularity and what are their main advantages. Biometric door systems are part of the numerous electronic access system trend that has been created during recent years. The system basically revolves around a programmed template and some specific biological features that are used to limit access to a room, area, or an entire building. The personnel working inside a building with biometric locks installed will have their fingerprints or other biological information stored in the locks. With the help of scans, whenever the information will match the data that was previously stored, a visitor's identity will be confirmed. This should automatically grant access to the room through a special authorization protocol. If you are interested in learning more about the biometric door lock system and its advantages for your business or home, these next few lines should help you get better acquainted the new technology. A biometric lock system is usually comprised of a few basic elements, including a computer, a sensor, and the corresponding software. 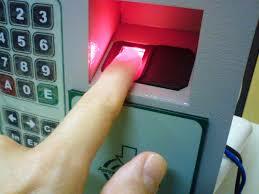 Fingerprint scanners are necessary to enable the biometric access system. The scanned images are unique fingerprint patterns. The actual image is not saved but rather transformed into a one-of-a-kind string of numbers. Once a person will place their finger on the scanner, the computer will proceed to compare the image to the data that has been previously stored. It will either grant or deny access to the property. Facial biometric locks use special facial recognition technologies that require the placement of the visitor's eye in front of the scanner. Think of it like photographing your face and assessing the distances of all of your features with the intent to have them compared to the data that has been already stored. Your facial features are also unique, which makes it impossible for someone else to pretend to be you and try to enter your home or office. A computer will accurately measure the distance between your eyes, nose, jawline, and cheekbones, and deny your access or grant it. If you are not sure which of the two systems would work best for your particular needs, you can have a professional locksmith for homes or commercial buildings guide your shopping decisions. The Locksmiths Pros team is here to assist you with every aspect of your shopping/installation experience and recommend the best solutions within your budget. We specialize in the entire array of residential, commercial, and automotive services and we can fit any kind of locks on all types of matching doors. No matter how simple or complex the lock system you are interested in, we can help you make the best choice that will keep you within your budget. Which Biometric System Is The Best? Here is a brief comparison between the two biometric systems that should help you gain a clearer understanding of what to expect from each. The biometric fingerprint lock is more commonly used than its facial recognition counterpart. The latter is more useful in public institutions since the facial features' capture and matching is done quickly and with zero obtrusions. The fingerprint lock can be more easily introduced to offices and warehouses, as it offers trustworthy access to safer locations. Since a person's physiognomy or fingerprint are almost impossible to guess or fake, doors will be better protected against intruders and burglars. Compared to keypads and card access systems, both of these biometric access systems are in the lead. With the help of expert locksmiths, these systems can be tied to additional security solutions. This should give users the chance to better cope with potential threats. If you are used to the classic deadbolt locks on your office or home, and you are planning on upgrading your security system, the biometric solution is one of the most reliable alternatives you should consider. Depending on the number of persons who will be granted access to certain sensitive areas of your building or home, you should consider the thumbprint or the facial scanner options. The pricing might also influence your final call, and for best results, you should use the consulting services provided by expert locksmith companies that handle these types of locks. No matter what kind of an access control system you may want to install on your office, store, or public institution, you should know a few things about their structure. All systems rely on hardware and software that need to be correctly installed and synchronized to serve their purpose. If you want to make sure your biometric lock will be installed the right way and hassle-free since day one, you should have an authorized locksmith handle the process. Today's locksmiths are so much more than technicians who install simple deadbolt locks and cut duplicate keys. They are up-to-date with the latest development and releases in the field of locksmithing and home and business security. They know how to fit door locks, access control servers, and suitable software apps, as well as databases and fingerprint or retina scanners and readers. The smallest glitch or error in installation could lead to a disastrous end results and a small level of security on the property. If you also wish to have your intercom system or your communication and monitoring systems connected to your new biometric lock, you should rely on the advanced skills and knowledge of a professional locksmith. You can also rely on a system provider who can inspect and verify your exact safety needs and vulnerabilities and recommend the most suitable solutions. Your safety should be your main priority, no matter if you are at home or at work. Investing in high-security biometric lock systems will provide you with the optimum levels of protection. Contact Locksmithspros today to find out more about Biometric locks; prices, installation and more!